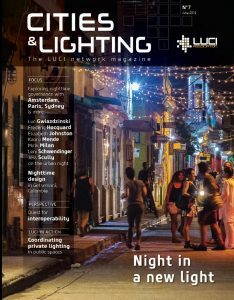 LUCI’s bi-annual magazine showcases urban lighting projects worldwide and addresses the key issues in the domain. 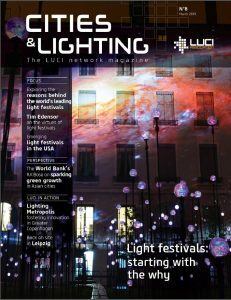 The seventh issue of the magazine features a focus on the night in a new light, in addition to articles on lighting initiatives from around the world. If you are a LUCI member and would like to order more print copies of Cities & Lighting, please contact luci@luciassociation.org. 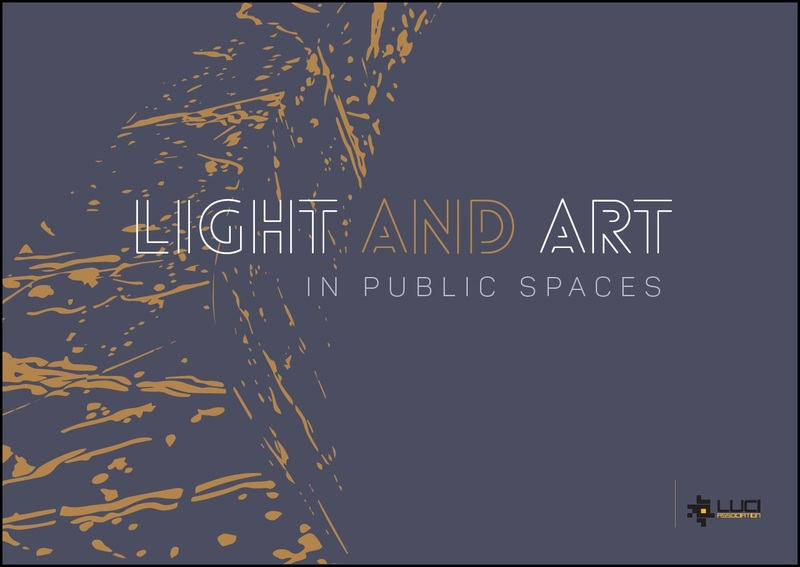 The LUCI publication Light & Art in Public Spaces, demonstrates how light and art – from creating a piece of public art with light, to lighting an existing work of art, to illuminating urban underpasses, or transforming buildings into landmarks through light – offers multiple opportunities to cities. Through case studies from Amsterdam, Gothenburg, Helsinki, Lyon, Rotterdam and Turin, this book provides cities the tools to develop urban light and art projects. 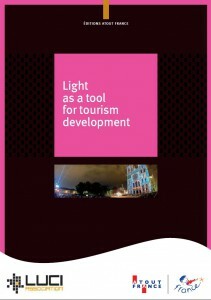 A publication realized by LUCI in partnership with Atout France, the national promotional agency linked to the French Ministry of Tourism, this book identifies key factors that determine how a lighting strategy can contribute to the touristic development of a destination. With testimonies and case studies from cities around the world such as Ghent, Montreal, Medellin, and Chartres, among others, the book will serve as a guide for cities looking to optimise their touristic potential through light. This report is the result of a study realized by the LUCI Culture Commission chaired by the City of Glasgow, in collaboration with Cambridge Policy Consultants. Through contacts with 26 cities hosting more than 30 light events and detailed case studies from 10 cities (Chartres, Durham, Eindhoven, Glasgow, Gothenburg, Jerusalem, Lyon, Medellin, Montreal and Osaka), the report includes a wealth of information on how cities measure and demonstrate the success of their events. 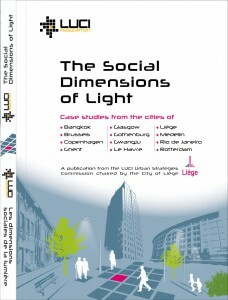 The publication aims to define the concept of social lighting and draws attention to concrete experiences and exemplary practices in this domain with case studies from 12 cities world-wide such as Medellin, Bangkok, Rotterdam, Copenhagen, Gwangju, Brussels, and Le Havre, among others. 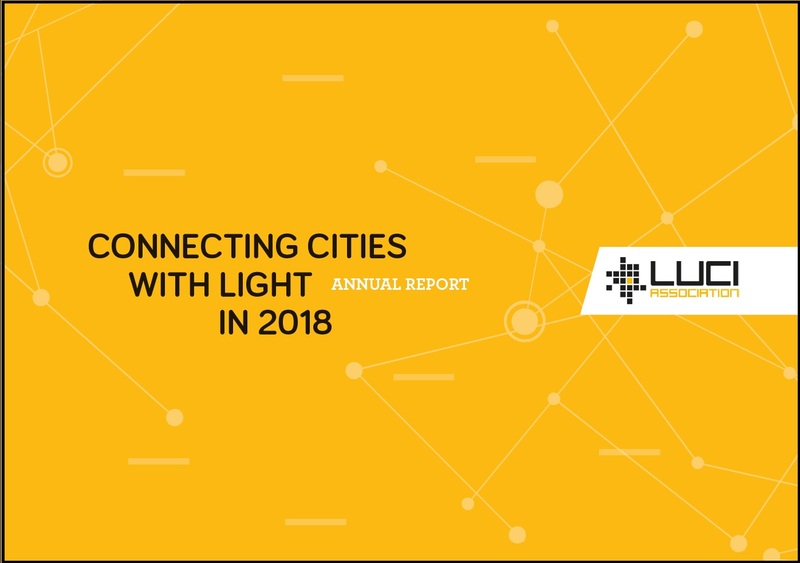 It is a product of the LUCI Urban Strategies Commission chaired by the City of Liege which had initiated a reflection on the social dimensions of light in collaboration with the University of Liege (LEMA). 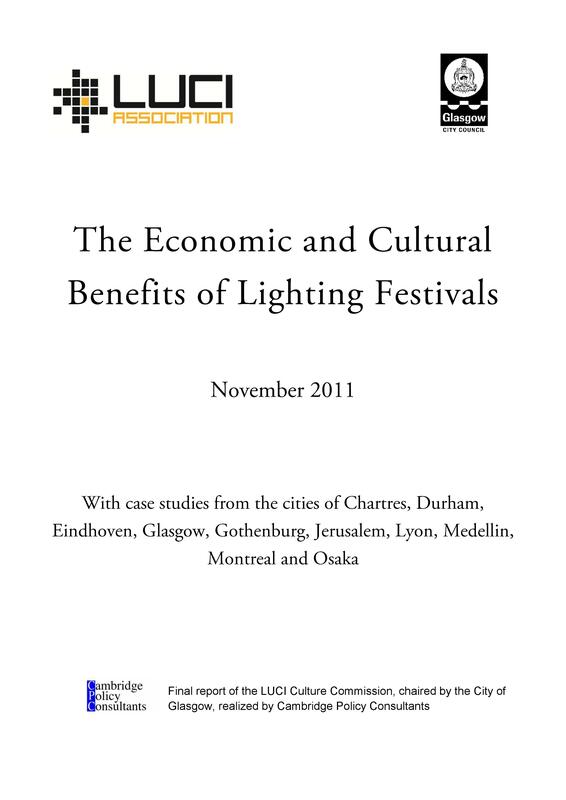 LUCI conferences resulted in the association’s first publication – « Cities and light planning » – presented during the 2010 « Rencontres de la Lumière » conferences. 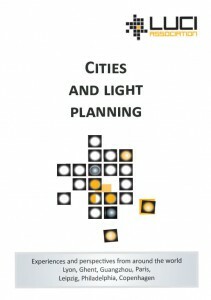 Based on presentations made at conferences in 2009, the publication brings together chapters by representatives from Paris, Copenhagen, Lyon, Guangzhou, Leipzig and Ghent on their cities’ perspectives, challenges and strategies regarding light planning. The publication, in English and French, was edited by LUCI in partnership with the INSA – University of Lyon (National Institute of Applied Science). This publication was released by Philips and LUCI to commemorate 7 years of the city.people.light award. 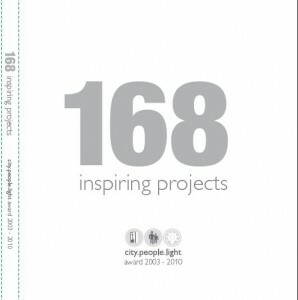 The book takes a look at all the 168 city lighting projects that have competed for the award so far. Contact luci@luciassociation.org for more information on these publications.